Your Angels have came forward promptly because, you’ve been pushing yourself past your limits with multitasking, rushing against deadlines, and worrying about other people and their issues. Now is the time to schedule your “rest time”. This will help you recover your energy levels and your over-all health. Along with everything else on your already full plate, you’ve been doing great work in releasing all old negativity, forgiveness, resentment, and learning to break yourself free from old habits and patterns that are no longer serving you. Your prayers for positive results, and bringing in positive energy, have been heard and answered, and will be coming in for you, for the rest of this month. Your life purpose includes writing, journaling, blogging, counseling, working with animals, teaching others, healing, and doing research; all with love. Follow your heart, and it will lead you in the right direction. God, and your Angels are working behind the scenes for you, as you continue to move forward with your loving heart. Your Angels are around you, giving you extra increased support to you for the rest of this month. They will be helping you, making sure that your needs (material and financial) are met. God has heard and is answering your prayers, which may also include and involve you receiving messages through your intuition or ideas to take and move forward with positive actions and results. You are being encouraged and guided to reveal your personality and shine brightly! Laugh heartily, express your opinions freely, dress boldly, and don’t hold back the “real you”. You “are” beautiful and Divine inside and out. Embrace feeling comfortable and happy with your natural self. Speak more from your heart, and let people know your real thoughts and feelings. You will also be doing some “hose cleaning” so to speak. Detaching from other people who judge you, or who are always negative, will be just one of the things you’ll be letting go of. You may even re-decorate or de-clutter your home, to create more space, and bring in more feelings of harmony and peace upon entering your safe space. 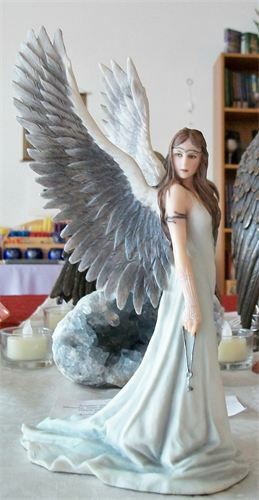 Your Angels want you to stop doubting yourself. they want you to know that God “is” working with and through you. Pray that you will continue to be aligned with God, and you’ll be an unstoppable force of Divine nature. Shift your thoughts from worrying about whether “you” are good enough, into trusting yourself and in trusting God. 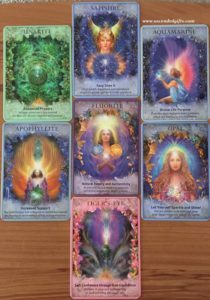 You are safe and protected, as you follow your inner guidance to make positive changes throughout the rest of this month.